Embark on a culinary journey of discovery full of delicious delicacies and sweet treats! A holiday at the TAUERN SPA is the ideal opportunity to discover the cuisine of the Salzburger Land region. 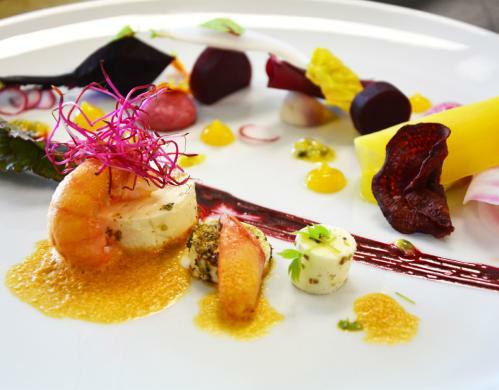 Our head chef Christof Schernthaner and his team look forward to tantalising your tastebuds. We know that many of our guests have their own preferences and diets, so we will be happy to take these into account. We offer vegetarian and vegan dishes every day. If you suffer from an allergy or intolerance, tell us when booking your stay and we will pass the information on to our chefs. 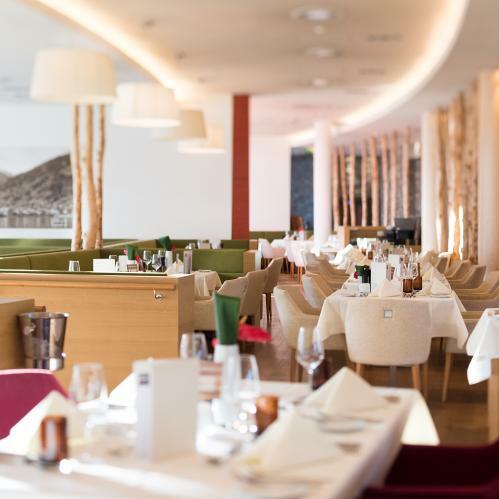 Here at the 4* superior TAUERN SPA we know how important good food is for an enjoyable holiday. That is why we offer a wide range of culinary delights to ensure that guests feel at home from the moment they arrive. 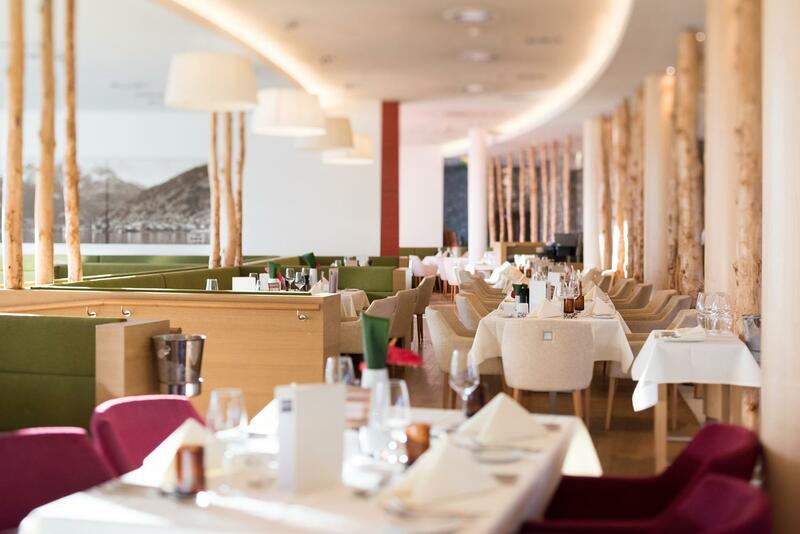 Exotic creations and traditional Austrian cuisine both feature on the menu at the TAUERN SPA. Get ready to embark on a culinary journey! Guests staying at the TAUERN SPA can look forward to sumptuous food from morning to evening. Our healthy and hearty breakfast buffet with international dishes and regional delicacies is the perfect way to start the day. 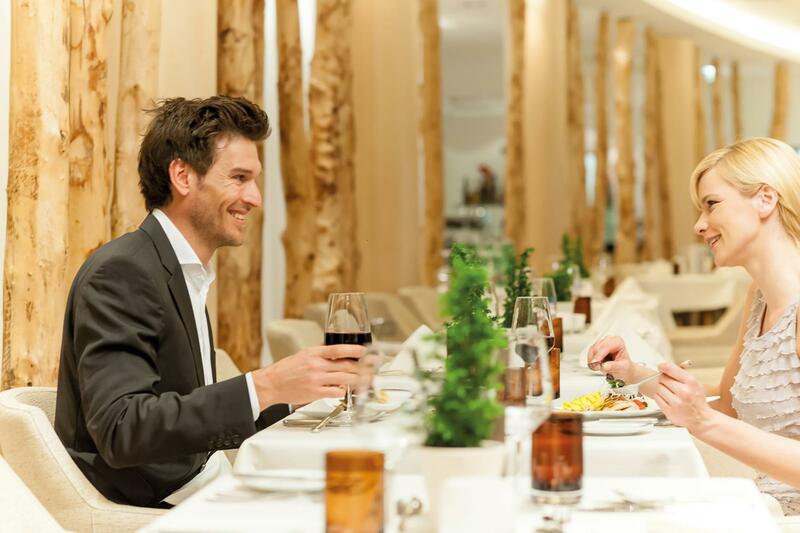 In the evening, our Lichtblick restaurant serves a broad selection of culinary creations from Austria and beyond. And as the day draws to a close, what better place for a nightcap than our own wine bar or the elegant lounge area with an open fireplace? We do everything we can to combine our high standards of cooking with a passion for experimenting. Much of our inspiration comes from the produce found in our local region, which gives the food at the TAUERN SPA its unique taste. Tip! Guests not staying at the TAUERN SPA hotel are also welcome to enjoy our breakfast buffet. Want to improve your cooking skills with a few tips from a real expert? Guests staying at the TAUERN SPA have the chance to do just that at our show cooking sessions. Each Wednesday at 04:00 pm those with a passion for cooking are invited to take part in a show cooking lesson with head chef Christoph Schernthaner. Regional delicacies from the Pinzgau region are cooked together step by step, with Christoph on hand at all times to give useful advice and tips. Please book in advance directly at the front desk. The show cooking sessions are offered for groups of at least 6 persons. There is no better way to relax on a Sunday than with a sumptuous brunch at noon. As a welcome, we will serve you a glass of sparkling wine. 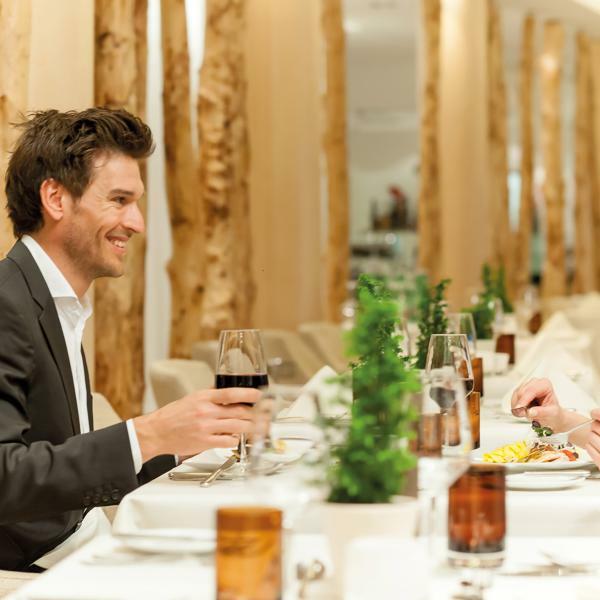 ADVENT BRUNCH "Sweet winter dreams"
Treat yourself to a culinary experience you will never forget at the 4* superior TAUERN SPA resort and enjoy the finer things in life.